Whether you're looking to change careers or start planning your education after high school, our staff and faculty are excited that you have considered attending SUNY Orange. Below is a helpful guide that will assist you in learning more about SUNY Orange. 4. Register for your placement test. A letter from the superintendent of the school district in which the student resides, indicating that the student has completed all the necessary requirements of Section 100.10 of the regulations set forth by the Commissioner of Education and has obtained the substantial equivalent to high school diploma. Documentation that shows a student has successfully passed the TASC exam, formerly known as the GED which is recognized as a high school diploma equivalency. "The Board of Regents does not approve correspondence study, including online as equivalent to a high school diploma for New York State residents". 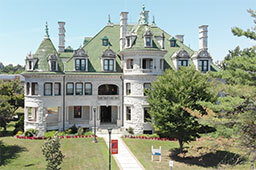 Home-schooled students or parents who have questions are encouraged to contact Maynard Schmidt, the Director of Admissions, at 845-341-4205 for more information.